Yes, i have been absent, i could say: too much absent!... but not because i want... but because my Rl projects are popping up! I use to look at SL in my lunch time, when i have a free one, and today i found something i could not let pass without tell to you. Since i started here i never blogged about fornitures, homes or decoration, now i high recomend you take a look in this book and get inspired to SL or RL. I am pretty sure that you will eat all pages with your eyes, because i did. 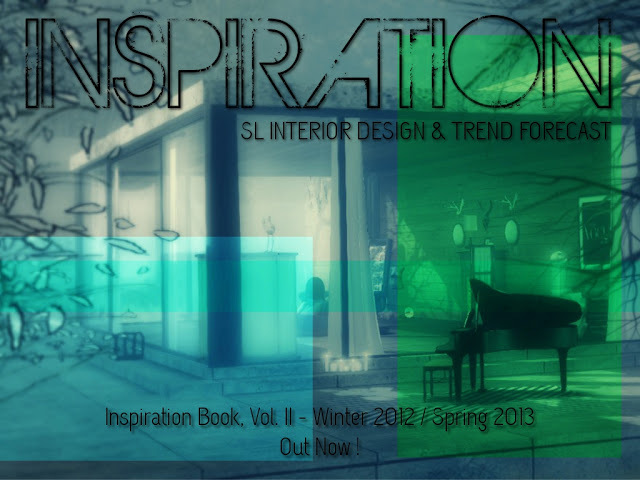 From RL, to SL... or better: from SL, to RL... anyway, enjoy it : The INSPIRATION BOOK, by Pitsh Parx.